Paul Milner is coming to town … that’s right, he’s leaving the cold winter of the northern hemisphere behind, jumping on a plane, and heading down under to see some sun. And no doubt he’ll see plenty in the 3 weeks (or so) that he’s here. Now some of you may not know who Paul is, so let me tell you … Paul is a professional genealogist and lecturer, specialising in British Isles and US research for over 30 years. He was born and raised in northern England and settled in the US in 1975. 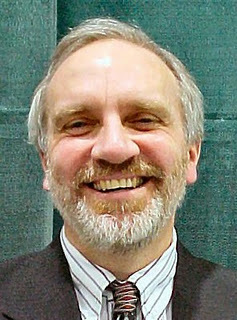 He is a nationally recognised speaker for British Isles research and migration. He is also an author having written Genealogy at a glance: England research, and co-authored A genealogists guide to discovering your English ancestors and A genealogists guide to discovering your Scottish ancestors. 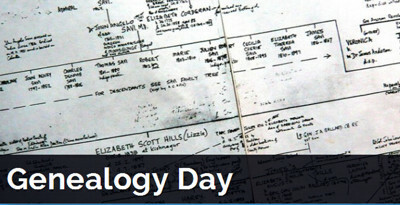 And if being a professional genealogist, and author isn’t enough, he also teaches the week-long English and Scottish research tracks at the Institute of Genealogy and Historical Research at Samford University, Birmingham, Alabama. He is a past board member of the Association of Professional Genealogists (APG); Federation of Genealogical Societies (FGS); and Genealogical Speakers Guild (GSG); and past president of the British Interest Group of Wisconsin and Illinois (BIGWILL). He is currently the book review editor for the FGS Forum and BIGWILL. So now you ‘know’ all about Paul, but you really should come and hear him for yourself. Unlock the Past are bringing Paul Milner to Australia primarily as one of the international guest presenters on the 3rd History & Genealogy Cruise … but they didn’t want the rest of you to miss out, so just before, and straight after the cruise, he’s off touring Australia and doing some talks along the way. – Soliciting your ancestors: the records of Stone James and Co. So if you don’t want to miss this opportunity to see one of the world’s most knowledgeable genealogy speakers, particularly relating to the British Isles, book you tickets now.